Pop this Canon NB-13L Lithium-Ion Battery Pack into your PowerShot G7 X Digital Camera and start shooting. 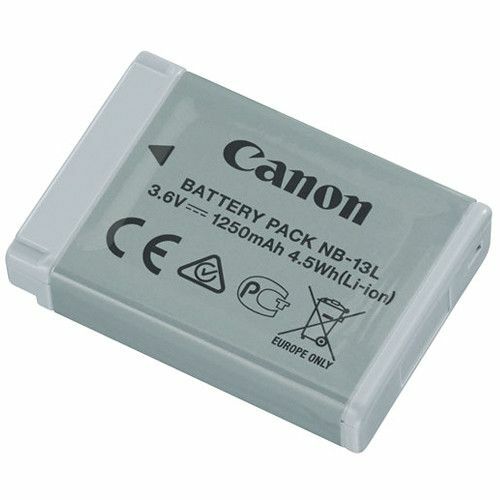 The battery features 3.6V of output power, a 1250mAh capacity, and a 4.5Wh rating. It is supplied with the camera and offered here as a spare or replacement part.